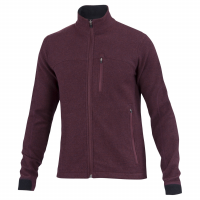 A just-right jacket with a comfortable weight, the Ibex Northwest Full Zip is made in the US from USA Merino wool blended with nylon. A modern, versatile design makes this a jacket that has no season. It's perfect for layering whether close to home or traveling for weeks.